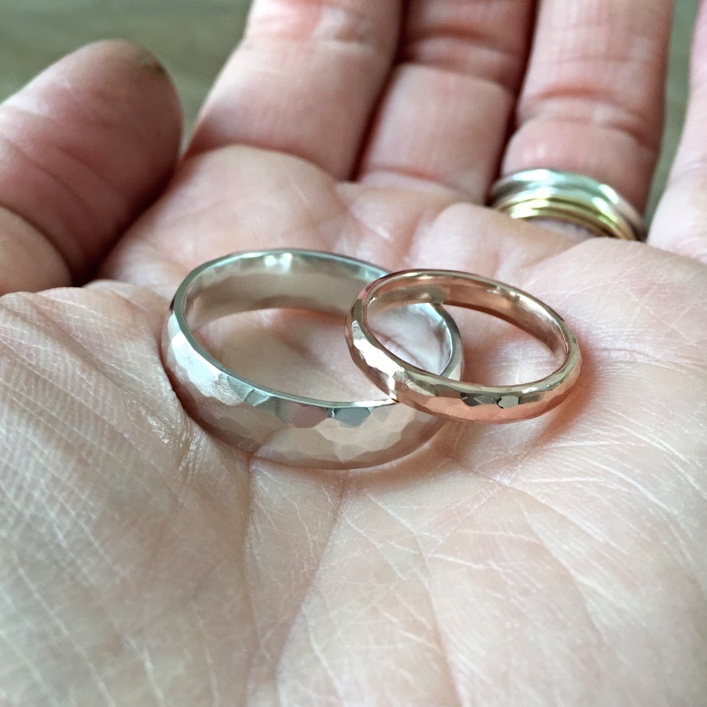 Beautiful chunky wedding bands with soft hammered texture. Hers in solid Rose gold, his in White. 9ct Rose & White gold with soft hammered texture. Price guide £££ per ring (for more information about our price guide, visit How to do Bespoke).